This weekend I was in search for a healthy snack that I could munch on throughout the week. I knew I was going to have a busy week, and I didn’t want to be tempted to always grab the leftover holiday treats & chocolates that are still everywhere at work. I also wanted to use up items in the pantry and found about 6 cans of garbanzo beans that came from a Costco size box. 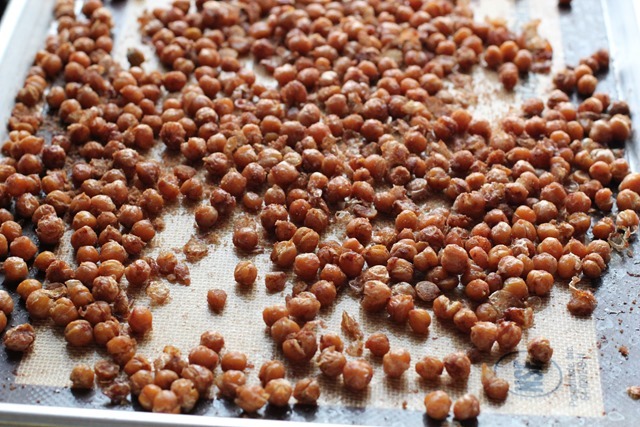 I went and searched Pinterest and found a recipe for Cinnamon Sugar Roasted Chick Peas. The finished product was delicious, not too sweet and was perfect for me. Although, I think that if I am making these for others, I would use the original amount of sugar. Also, they didn’t turn as crispy as I had wanted them (I was thinking of crunchy like nuts texture), they still had a crunch to them on the outside and soft on the inside. I finished the batch on the 3rd day and they were all soft by then. I had movie night with Cher on Saturday and sneaked this in the theatre for our healthy snacks. It was very cold on Saturday night and after having hot soup for dinner, this was the perfect light dessert. Served with a side of Bradley Cooper and Jennifer Lawrence….we watched American Hustle movie. Preheat oven to 400F degrees. 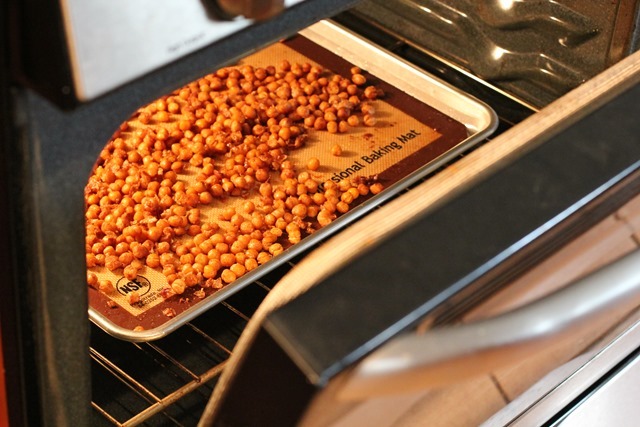 Line a large baking sheet with a silicone baking mat. Set aside. 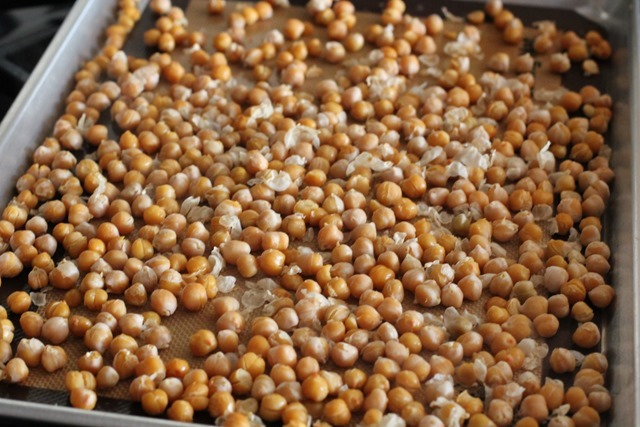 In a large strainer, rinse and drain the chickpeas very well to remove the starch. Spread them out onto prepared baking sheet and pat very, very dry. The drier the chickpeas, the crunchier they will be. The skin of the bean may peel off as you pat them dry. You may remove the skins or leave them on. 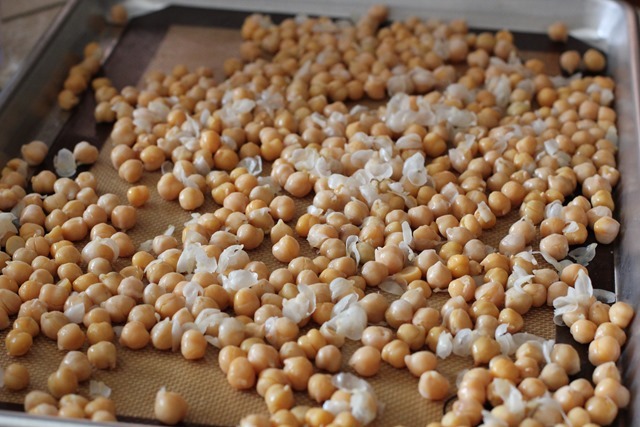 Once 100% dry, place chickpeas into the oven and roast for 15 minutes. After 15 minutes, remove from the oven and drizzle with olive oil. Using a large spoon or spatula, mix the beans around to make sure they are all evenly coated. 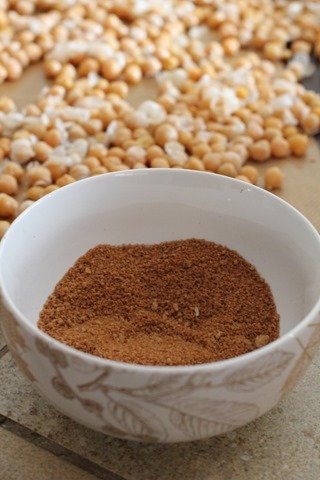 Mix the cinnamon and sugar together and sprinkle over beans. Mix around very well to heavily coat each bean. The beans will be flavorless, so you want to make sure each one is thoroughly coated. Place back into the oven and roast for another 15 minutes. – Note for next time I make this: Add coconut flakes and to make sure to completely dry the beans, they may turn out more crunchy. gah! total deliciousness! And protein full- amazing!! 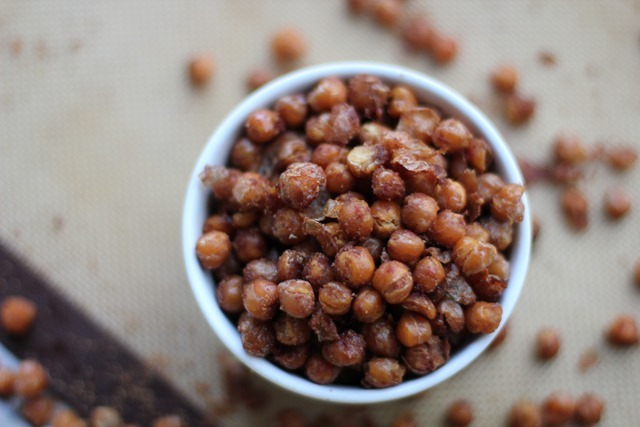 i love love roasted chickpeas. i do mine in garlic and cumin. definitely need to try a sweet variety wtih coconut oil. great idea!